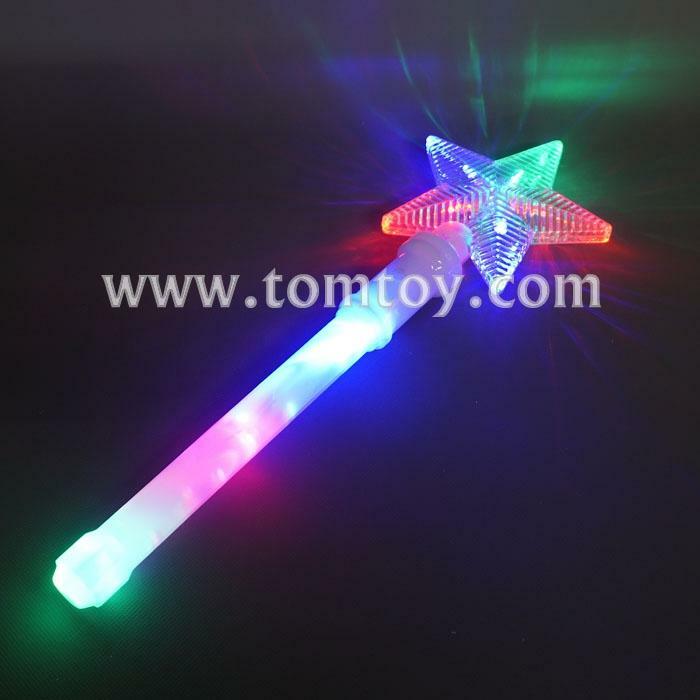 1.This beautiful 16 inch, star wand is perfect for a fairy costume, princess themed party, or party favor. Also great for birthday parties. 2.This wand is unique, colorful and a popular item! When you press the button to turn the LEDs on the wand makes a spell-casting. 3.Multicolored LEDs light up the wand. 4.Three pieces AG13 batteries included.